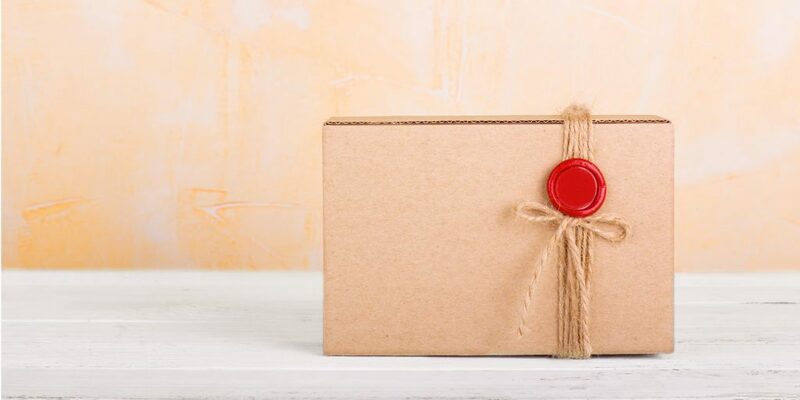 It sounds like a contradiction, but recent innovations in an old marketing standard—direct mail—have given this marketing activity new life, making it a valuable addition to any nurture campaign. How? Through automated fulfillment of tactile marketing pieces, delivered to the doors of strategic targets. David Lewis; Founder and CEO of DemandGen, recently interviewed Daniel Gaugler, Chief Marketing Officer at PFL, a marketing technology company that provides sales enablement and marketing automation solutions for tactile marketing. In a nutshell, Tactile Marketing Automation (TMA) is a print-on-demand mailing and fulfillment technology and service that plugs into marketing automation systems such as Eloqua, Marketo and Salesforce, among others, making it easy to send targeted direct mail pieces to prospects. DemandGen has been helping clients integrate this functionality, and uses it internally, as well. During this interview, Daniel, an expert in modern marketing and marketing technology, shared with David his insights about the power of leveraging direct mail—and specifically, TMA—in nurture campaigns today. David: Why is direct mail all of a sudden back in vogue? Daniel: Direct mail was a forgotten channel until recently, mostly because it was much easier and more cost-effective to implement digital marketing. Digital marketing is also highly effective and easier to track. So, people forgot about—and stopped doing—direct mail. But today, there’s a huge resurgence in direct mail, because consumers crave more interaction with brands. It’s a departure from the never-ending stream of emails, and it helps brands communicate with people in a way that cuts through the clutter. David: PFL has trademarked the term “tactile marketing automation.” Exactly what does it mean? Daniel: We coined the term Tactile Marketing Automation to set what we do apart from traditional direct-mail. The term helps to reframe the discussion, and it incorporates the idea of sending the piece. It’s about integrating with your data source and using that data to determine when you should trigger it from your CRM or marketing database. It’s data-driven in real time. TMA is also integrated with your other marketing channels—email, social and sales. So tactile sends don’t happen in a silo. That was one of the biggest barriers we saw with traditional direct mail; TMA overcomes that barrier by integrating sends with your marketing automation platform, enhancing and augmenting your conversation with customers throughout their journey to drive results. With TMA, direct-mail is more economical, because companies don’t have to print thousands of pieces in anticipation of a mass mailing—it’s fulfilled automatically and on-demand. Direct mail is more innovative now, thanks to many factors. Today’s printing technology enables one-off printing. If I can send one personalized piece to one person at the right time, I’m likely to get better results. Another factor is, people love receiving packages in the mail. It’s like getting a present. The allure of a dimensional package plays to people’s emotions, which is very effective. David: What are some examples of TMA sends? Daniel: Personalization is a big factor—we personalize pieces with URLs, QR codes, links to personalized websites and other interactive experiences. We can use conductive inks to conduct electricity, creating interactive pieces that connect to a battery and light up and do all sorts of crazy things. We can create scratch-and-sniff pieces, too. Or we can leverage augmented or virtual reality, such as a piece that you can hold up to your phone to make it come alive. For example, we did a furniture catalog with an app that enabled you to see how a couch fits in your room. We can even embed a video in a tactile piece. There are numerous ways to create high-impact direct mail pieces to engage prospects and customers. David: Can you share some client use cases for tactile marketing? Daniel: It’s important to think of tactile marketing automation in the context of your overall marketing strategy and objectives. Where does it make sense to send a tactile piece as part of your campaign for maximum impact? Typically, our clients spend a lot of our money acquiring new customers; tactile marketing can be a very effective channel for making a first impression and getting that ball rolling. 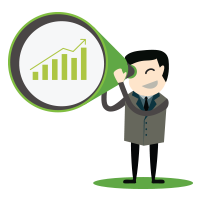 You can also use it for on-boarding or in sales enablement programs. Another way to use tactile marketing is to augment account-based marketing (ABM) activities. ABM is a buzzword of 2016. En Vogue is one of our customers who does a phenomenal job of integrating multiple touches across their target accounts. They send a few emails and if the accounts don’t engage, they send a tactile piece. The send automatically integrates with the marketing automation platform, triggering the send and proceeding to the next action in the campaign. For one campaign, they send an interactive ROI calculator, pen, and worksheet. Once the package is delivered, they send an email with a call to action. Having received the tactile piece first, the target accounts are more likely open the follow-up email. 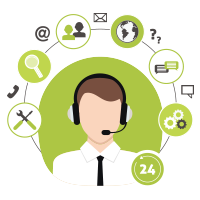 Because it’s integrated with Salesforce, the Sales team knows when the account receives the package and can call the account to follow up. Here’s another example: DemandGen and PFL have a mutual client, Medtronic, who provide samples of their $28 billion medical devices on-demand using TMA. For example, if someone has Type 1 diabetes, and they want to get a sample of the insulin pumps and devices, they can simply submit a web form to trigger the send. David: I understand you also offer a sales enablement tool called Swag IQ. How can that tool help sales organizations? Daniel: Direct mail is a highly effective channel, and marketers aren’t the only ones who want to use it. This tool enables a salesperson to quickly and easily send a gift or whitepaper, for example, and personalize it with a notecard or signature. Once delivered, the sales reps are notified within 15 minutes with a new task in Salesforce, prompting them to follow up. Marketers love it because it gives them control over what sales reps are sending. It also includes a rules engine to help sales determine when to do the sends. For example, it can be set up to alert sales when a client’s birthday is approaching, or notify them if a deal has been stalled for 30 days. In these cases, a tactile piece might be the perfect way to re-engage the customer. David: There are so many ways to incorporate direct mail into marketing and sales programs. Do you have any resources for our readers? Daniel: We have tons of resources there about what TMA is, how to use it and ideas for putting it to work in your organization. A good place to start is our book, titled, “The Tactile Marketing Automation Idea Book,” available on our website. This interview was the second in DemandGen’s PodCast Series, during which David Lewis speaks with top industry experts, thought leaders, authors, marketing technology firms and senior marketing leaders from around the world about their methods and technologies for high-performance marketing. A replay of the full podcast with Daniel Gaugler at www.DemandGenRadio.com.